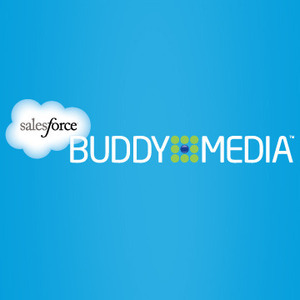 Salesforce Buddy Media is the social enterprise software of choice for eight of the world's top then global advertisers, empowering them to build and maintain relationships with their consumers in a connections-based world. The Buddy Media social marketing suite helps brands build powerful connections globally with its scalable, secure architecture and data-drive consumer insights from initial point of contact through point of purchase. Buddy Media is headquartered in New York City, with additional offices located in Asia, London and San Francisco. 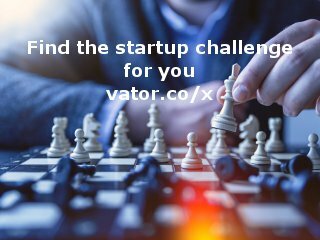 Salesforce Buddy Media was featured in a VatorNews article: "In-store marketing platform Nomi raises $10M Series A"
Salesforce Buddy Media was featured in a VatorNews article: "With HootSuite funding, which others could be next?" Salesforce Buddy Media was featured in a VatorNews article: "Nomi raises $3 million in seed funding"
Salesforce Buddy Media was featured in a VatorNews article: "SoftBank Capital announces new $250M fund"
Salesforce Buddy Media was featured in a VatorNews article: "Optimal gets $7M Series B for social media advertising"
Salesforce Buddy Media was featured in a VatorNews article: "Buzzfeed raises $19.3M to tell you the 90s were awesome"
Salesforce Buddy Media was featured in a VatorNews article: "Today's Investor: Jules Maltz"
Salesforce Buddy Media was featured in a VatorNews article: "Google spreads its ad-strength with Wildfire buy"
Salesforce Buddy Media was featured in a VatorNews article: "Social will be the beneficiary of brand dollars in 2012"
Salesforce Buddy Media was featured in a VatorNews article: "Confirmed: Microsoft bought Yammer for $1.2B"
Salesforce Buddy Media was featured in a VatorNews article: "Social marketing company Clickable bought by Syncapse"
Salesforce Buddy Media was featured in a VatorNews article: "Word on the street: Microsoft to buy Yammer for $1B+"
Salesforce Buddy Media was featured in a VatorNews article: "Salesforce buys Buddy Media for $689M"
Salesforce Buddy Media was featured in a VatorNews article: "Salesforce rumored to be purchasing Buddy Media"
Salesforce Buddy Media was featured in a VatorNews article: "Buddy Media acquires Brighter Option for Facebook ads"
Salesforce Buddy Media was featured in a VatorNews article: "Top 10 Lessons Learned videos on VatorNews in 2011"
Salesforce Buddy Media was featured in a VatorNews article: "Twitter takes advertising to new level with Brand Pages"
Salesforce Buddy Media was featured in a VatorNews article: "SMB social marketing startup GroSocial gets $450K "
Salesforce Buddy Media was featured in a VatorNews article: "Funding roundup - week ending 08/19/11"
Salesforce Buddy Media was featured in a VatorNews article: "Buddy Media raises $54 million to keep maturing"